How did the Kwid become an Indian success story? Shyamal Majumdar meets Sumeet Sawhney, managing director, Renault India, to find out more. Like a Bollywood superstar tired of talking non-stop about his latest blockbuster and keen to hold forth on other things in life, Sumeet Sawhney doesn't utter the K-word even once during the first half hour of our conversation. Secure in the belief that no conversation with him these days can be complete without the extraordinary success story of the Kwid, the Renault India managing director prefers to delay the inevitable by talking about everything else under the sun. I decide to play along as we settle down at the ITC Maurya's Pavilion restaurant (in Delhi). By the time the chef arrives (Sawhney wants to discuss the menu with him only), I have come to know that he doesn't have "too leisurely a schedule," meaning we need to have a quick lunch, and that he is an "unusual Punjabi who doesn't smoke, doesn't touch alcohol and runs a multinational automobile company." I have also been told that "work is his best form of relaxation," and that he has "gone past the stage of getting ahead of peers and is in reinvention mode." And in case I didn't know, he states that he has never done staff function in his career, has always led from the front in creating businesses and is an "entrepreneur at heart." Sawhney knows when to shift gears. Just when I start wondering whether the quick lunch would be a long soliloquy of a typically workaholic CEO, he talks about his unfulfilled New Year resolution to get a pilot's licence. His family owns an aviation company and Sawhney is just one step away from getting the licence but just can't manage enough time to cover that distance. The chef, with two stewards in attendance, suggests watermelon juice, fried vegetables as starters and a special vegetarian thali for him. I opt for the non-vegetarian version, which contains the same dishes, but for chicken curry. Sawhney double-checks whether I would be fine without a fish preparation and, after my nod, asks, "You are originally from Kolkata, no?" The chef is obviously taking good care of his special guest, as the juice and fried vegetables come in double quick time and taste delicious. Sawhney (right) talks about his other pastime -- a "nano international level" hospital project, partly funded by his family trust. Located in a remote village in Madhya Pradesh near the Narmada river, the 100-bed air-conditioned hospital looks like an imposing heritage building (Sawhney shows me the pictures stored on his mobile) and has four wings, the biggest of which is the childcare wing. The next biggest hospital within 250 km of the village is a 35-bed one, Sawhney says with obvious pride. He has mega plans for this "ultimate dream" of his. The hospital will have 125 beds shortly and 10 spokes within the next few years. Three of the spokes will come up within 5 km. "The paying capacity of the local population can never match the facilities on offer, but that's hardly a constraint. We provide treatment at a fraction of the cost and the trust takes care of the rest," Sawhney says. Does Renault have any role to play here as part of its corporate social responsibility? "Absolutely none. This is entirely my dream," comes the quick reply. His role, Sawhney says, is that of a strategist and of bringing in doctors from around the world using his contacts in the American and British associations of physicians of Indian origin. "All of them want to do something meaningful in their country of origin. I act as a bridge between them and the hospital," he says. Discussions are also on with institutes such as the Harvard Medical School for possible associations. You can almost feel his passion for the project, prompted partly by his godfather whom he doesn't name. The biryani remains unattended as the hot and soft rotis look more appetising. 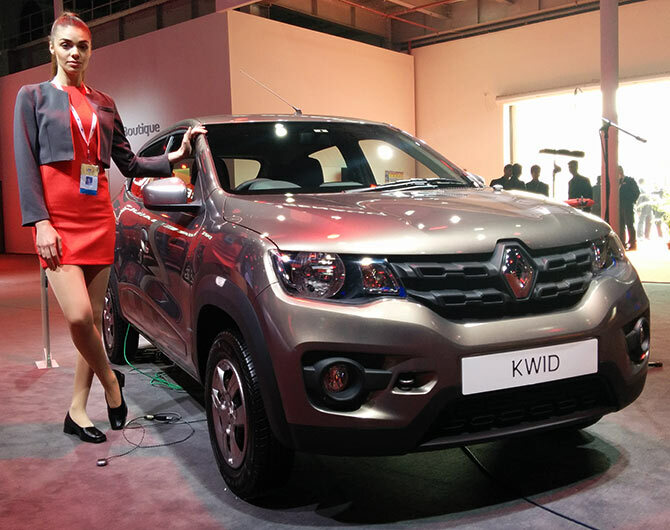 I decide to steer the conversation towards the Kwid, which made its market entry in September last year, and has received more than 125,000 bookings so far, bringing Renault to the centre stage of India's automotive market. That itself is quite an achievement for a company that has seen quite a few false starts in its four years of solo run in India. If the Duster changed Renault's image in India, the Kwid powered it to the league of the top five automakers in the country, says Sawhney. So how did he make it happen? 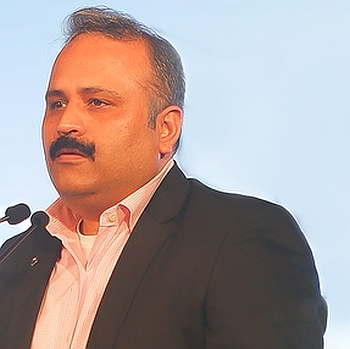 Sawhney, who joined Renault India in September 2012 as executive director and was promoted to the top slot the following year, is now unstoppable. There was an early realisation in the company, he says, that a breakthrough in a cluttered small car market can't be done in a conventional way. So Renault decided on three things: One, the Kwid must be launched with 98 per cent localisation -- an industry first; two, the cost of ownership must be low and Sawhney claims the small car's ownership cost is about 17 per cent less when compared with competition; and three, the Kwid's suppliers and local design centres agreed the car must get the fundamentals right in terms of product, design, features, technology, launch timing, value and strategy. As a result, the Kwid runs 25.17 km a litre; sales outlets increased to 205 by December 2015 from 157 a year ago (the target is to have 270 outlets by the end of 2017). "In India, jo dikhta hai woh bikhta hai (what you see is what you buy)," Sawhney says. To cash in on the excitement around the Kwid, Renault launched the first-ever car app that offers virtual showrooms. For example, a customer even in a village in Assam can log in for a particular slot and, after a 12-minute live demonstration of the car's features, ask questions that would be answered by a sales representative on a personalised basis. Though Renault's super-boss, Carlos Ghosn, has publicly expressed admiration for the Indian way of jugaad, Sawhney says the Kwid's success has more to do with frugal engineering and innovation with an Indian mindset. "You can't impose a global template on a market like India, which is going to be the third largest automotive market in the world in a few years. We understood the need for Make in India and walked on that path," Sawhney says. He adds that the Kwid's 9,500 to 9,800 monthly sales on a sustained basis has made it a case study in itself, which "competitors are eager to learn from." The confidence is justified as there is no doubt Renault is soaking in the success of the Kwid. In February, India overtook Russia to become the fourth largest market for Renault, which is now targeting a five per cent market share in India -- something that was unthinkable even a couple of years ago. The conversation has obviously gone well beyond the definition of a quick lunch and Sawhney says he is a "no dessert man," forcing me to toe his line. But he is not finished yet. Renault, he says, has understood that the life cycle of an auto product in India has shortened to two-and-a-half years from four to five years earlier, and hence has lined up an array of products, including variants of the Kwid with 1,000-cc engine capacity (the current car has an 800-cc engine) and automated manual transmission. In the works is the launch of several other models over the next three years in the under Rs 8 lakh (Rs 800,000) category, which makes up for more than 70 per cent of India's passenger vehicle market. As he almost sprints towards his car -- the Renault Lodgy -- waiting at the hotel foyer, Sawhney says that when he left General Motors in 2012, the company's market share in India had gone up from virtually nothing to 4.7 per cent. He had accepted the Renault offer only because he could sense an opportunity to create something yet again from scratch. "People say real success comes only once in life. I was curious to know whether I can script a turnaround story for the second time in my career," he says. His bosses in Paris would be mighty pleased with that curiosity. How does Smriti Irani plan to fix this problem?